This system uses all factory mounting locations providing stability. Includes OE-style bayonet hangers which are used to maintain a stable pipe location during high vibration and high heat conditions. The bayonet tip holds the hanger bushing in place for an OE-style fit that does not change with time. Includes additional hanger bracket for driver-side mount. No cutting required. 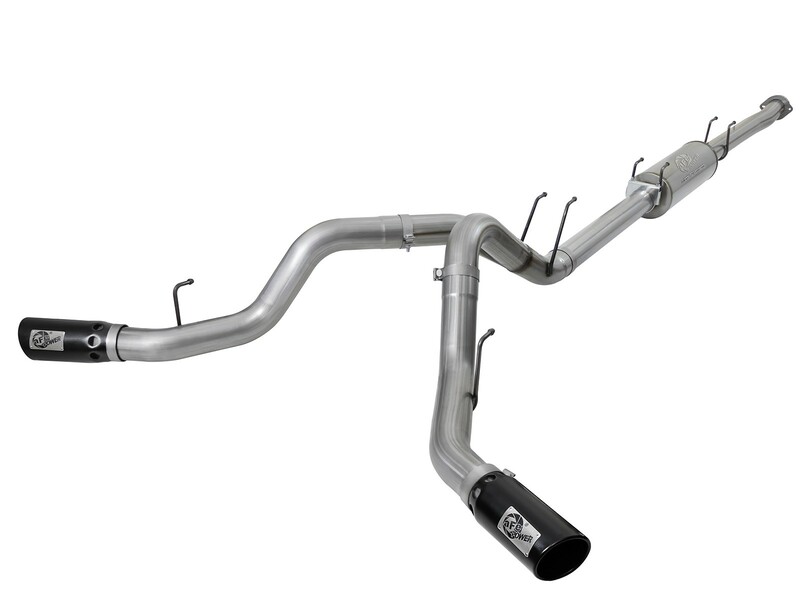 Finishing off the exhaust is a set of dual-side exit 5" stainless steel intercooled clamp-on tips with a black finish. A unique laser-cut aFe Power logo plate is riveted on for an aggressive style.